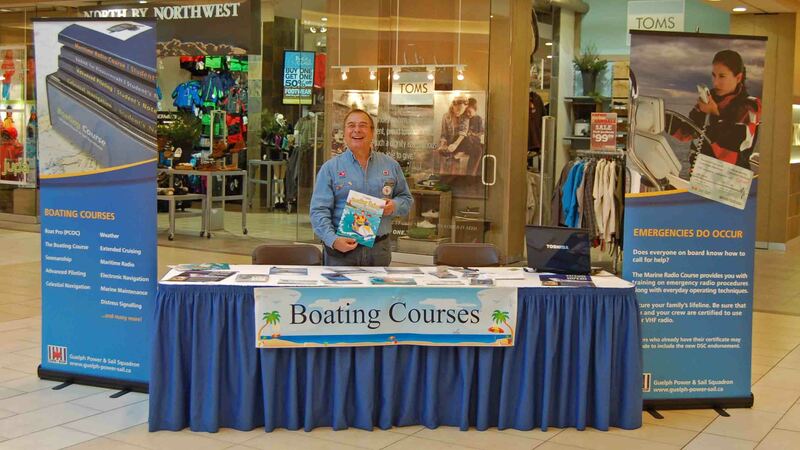 "Providing Safe Boating Courses in the Guelph Area since 1962"
The following are Canadian Power and Sail Squadron courses. based on demand and the availability of instructors. Our Instructors are all experienced boaters, keel boat sailors, dinghy sailors and power boaters, with significant practical experience. Great Lakes cruisers, Ocean cruisers, hands on sailing coaches and advanced level theoretical training. 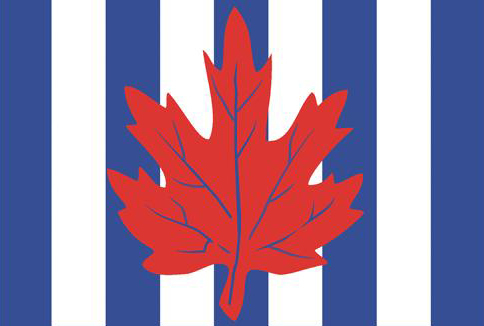 Canadian Power & Sail Senior Navigators, Advanced Piloting, Ontario Sailing Association Intermediate and Advanced Cruising standards. 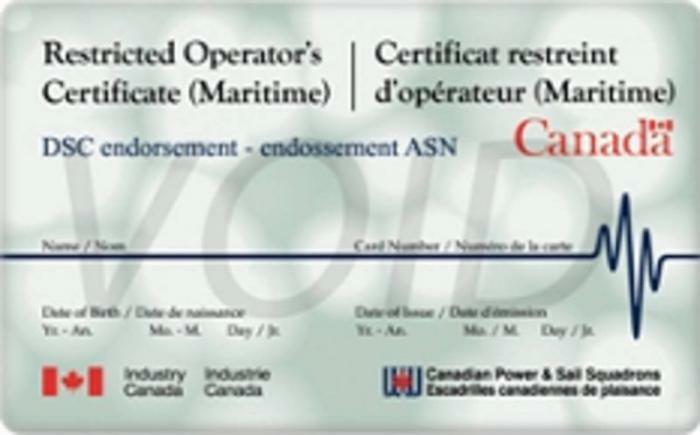 American Yachting Association, all standards up to and including Charter Skipper and Transport Canada Certified Marine Instructor. Our Goal is to Teach Safe Boating by sharing our boating experiences, good and bad with the class. We don't limit our classes to the basic lesson material. There will always be value added based on our experiences. We will provide as much one to one support to ensure that all students understand and are comfortable with the materials and topics – no one is left behind. We hold monthly Pub Nights, we socialize, share boating stories and have a good time. The "Register Online" buttons below, will take you to the national register page for the desired course. 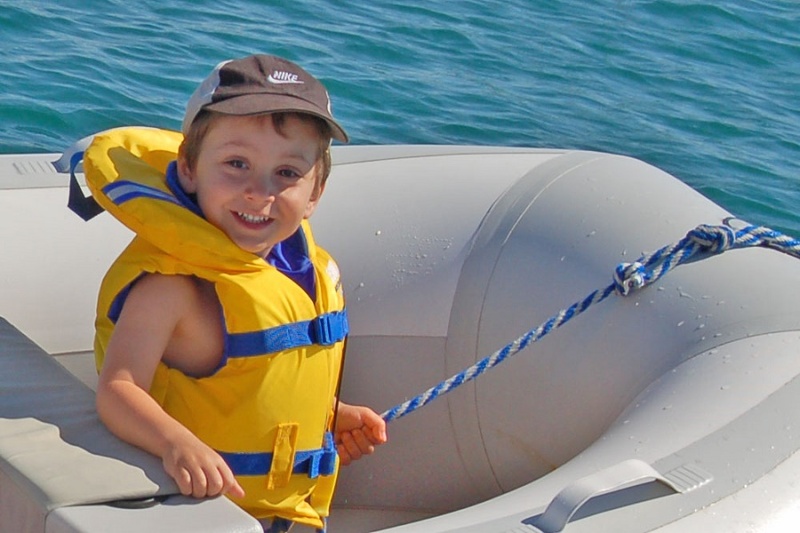 Discount family pricing packages for those taking Boating 2 and 3. The third course in the series explores navigation further as you learn how to plot and label on paper charts as well as what the skipper should be doing before setting out and when under way. Handling a boat under sail, as well as your environmental responsibilities and electrical hazards. This course will allow the pleasure craft operator to navigate safely knowing his exact location at all times. You will learn to navigate using GPS and paper charts as well as electronic charting devices. It includes a CD containing a number of charts and a full scale simulator of a chart plotter to help you learn by doing. Join with others to share experiences and knowledge. See course table of contents. Successful completion of this course you will give your "Restricted Operators Certificate", which is required by law. ( good for life ) You will also learn emergency radio procedures that will significantly enhance your safety, as well as Digital Selective Calling and the Global Maritime Distress and Safety System, (DSC & GMDSS). A refresher course is recommended for those who have a "Restricted Operator's Certificate" issued before January 1st, 2005. There have been significant advances in VHF radio technology, i.e. "Digital Selective Calling". This feature enhances your ability to communicate your location in an emergency situation. "Digital Selective Calling" could save your life in an emergency. Understand the available features and how they apply to your needs. Learn how to use your RADAR for collision avoidance and for navigational purposes. If you are interested in taking a CPS course that is not currently listed above, please let us know. This information is very helpful when planning future course offerings. Please Email us: Nick Wenzler All suggestions are welcome. Sail - The course deals exclusively with the knowledge required to operate a sailboat safely. Emphasis is placed on how a sailboat works and the special terminology associated with sailboats, sailing, and practical seamanship. Extended Cruising - This course helps establish the skills required for you to seek distant shores. Offshore sailors must be able to fill the roles of helmsperson, navigator, meteorologist, shipwright, radio operator, cook, sail maker, mechanic and diplomat. Cruising is a most rewarding and enjoyable experience when you are properly prepared. Boat and Engine Maintenance - The enjoyment of boating includes both the pleasure of using the boat and the satisfaction of properly maintain it. Your offshore safety is directly related to how well you maintain your boat on an ongoing basis and your ability to resolve issues while you are out on the water. Get to know your boat and learn how to resolve issues. Seamanship - While this course builds on traditional navigational concepts and techniques learned in Boating Essentials, it also covers the hazards of weather, wind, waves, tides and tidal currents as well as emergencies on the water. Recommended pre-requisite: successful completion of "Boating Essentials". Advanced Piloting - As is suggested in the course name, this is an advanced course, which takes up where the Seamanship Course left off. If you plan on going out of sight of land, this course is for you. You will be taken out of the realm of conning and visual plotting to coastal cruising out of sight of land, navigating in tidal waters, dealing with current, standing clear of danger, and determining position by visual observation or with the use of electronic devices. Your chart work will be developed to standards recognized in the maritime industry. You will learn how to navigate in the case where your electronic navigational tools are not available. Recommended pre-requisite: successful completion of "Seamanship". Junior Navigator - This the first of a two-part program of study in offshore (open coast) navigation. It is designed as a practical, how-to course using GPS for offshore navigation with sun sight taking using a sextant as a backup technique. The more advanced techniques for other celestial bodies and sights are for study in the subsequent Navigation Course. Recommended pre-requisite: successful completion of "Advanced Piloting". Global Navigator - Global Navigator is the second part of study of offshore navigation. It further develops the student's skills and understanding of celestial theory. The student is introduced to additional sight reduction techniques for bodies other than the sun. The student develops greater skill and precision in sight taking, positioning and the orderly methods of carrying on the day's work of a navigator at sea. Recommended pre-requisite: successful completion of "Junior Navigator". 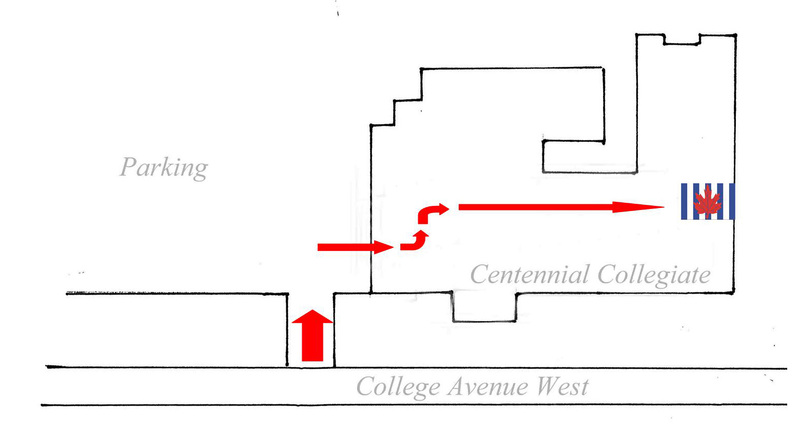 Parking is located on the West side of the building, where you can enter the building. You will need to walk to the East end of the building for the Squadron classes. Classes are held on Wednesdays from 7:30 PM to 10:00 PM. At the Guelph Squadron, we believe that knowledgeable boaters are safer boaters. The Squadron is a non-profit, all volunteer organization dedicated to promoting safe boating through education. We recognize the importance of your family's safety when out on the water and would like to share our knowledge and experience. All of our courses are classroom courses. Our instructors are qualified and many have extensive experience on the water. This new boater is wearing an approved life jacket. It has a collar which is designed to keep his face out of the water. "Mike and I would highly recommend the Boating Course* to any or all novice boaters, would-be boaters or curiously seekers." "Honestly, Mike and I were completely blown away by the outstanding teaching and top level information we received. Thanks really goes to all your volunteers. Truly impressive!" "Guys, I want to thank you for your great courses. I will be putting all to practice in the coming few days; a departure from Toronto to New York, and then on to the Azores, Portugal likely after that. I may get few sun shots in.